Whether water heaters in your home may not work as good as before, or you’re just wondering what all the hype about tankless water heaters is, you’ve come to the right place. Tankless water heaters (also known as an on-demand water heater) have been widely used in Japan and Europe, but they seem to be getting more and more popular around the world. The reason for this is that these units provide hot water on demand. Basically, you won’t have to wait for the water to heat up like you would with a storage water tank. You also won’t have to wait for hot water to refill. The tankless water heater can help you save money on utility bills, and also benefit the environment thanks to having a more energy efficient heating system in your home. In this article, we talk about types of tankless water heaters, things to have in mind when choosing this unit, and we also bring you the list of the best tankless water heaters in 2019 to help you find the right match for your sweet home. Browse our tankless water heater reviews to find the one that matches your needs, means, and requirements. In our opinion, this is the best whole-house electric tankless water heater for an average family. Accurate, reliable and efficient, this unit will serve your family for years to come. 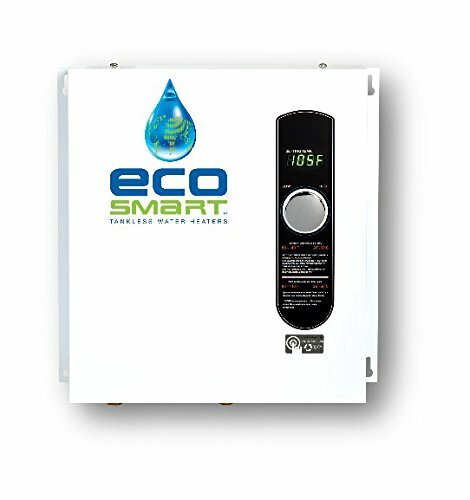 EcoSmart offers tankless water heaters with innovative features that can reduce water heating costs by up to 50%. And the ECO 27 is no exception. The ECO 27 can heat up to 3 gallons per minute at a low temperature (37F) which means that you and your family won’t have to deal with cold showers anymore. Better yet, you can run multiple appliances at the same time – dishwasher, sink, or shower as this unit is a whole-house tankless water heater. Since this unit is self-modulating, it will adjust the amount of energy used according to the temperature and amount of water you’re using. This is a sure way of using energy wisely, and not wasting it. The ECO 27 requires a 240-volt electrical system. The unit features high-quality copper and stainless components that are easy to replace, should the need arise. And the heater is compact so it won’t take up much space. This also makes installation easier. This unit is designed with efficiency in mind, that’s why it has a digital control panel. Thanks to it, you can easily and precisely adjust the temperature. Note that the warranty registration card requires certain information including license numbers of electrician and plumber who installed the product. So, if you want to keep the warranty, do not install this unit by yourself. This tankless gas water heater is cleverly designed, efficient, reliable, and lets you adjust the temperature. If you’re looking for a single-point unit, this one certainly provides a good value for the money. 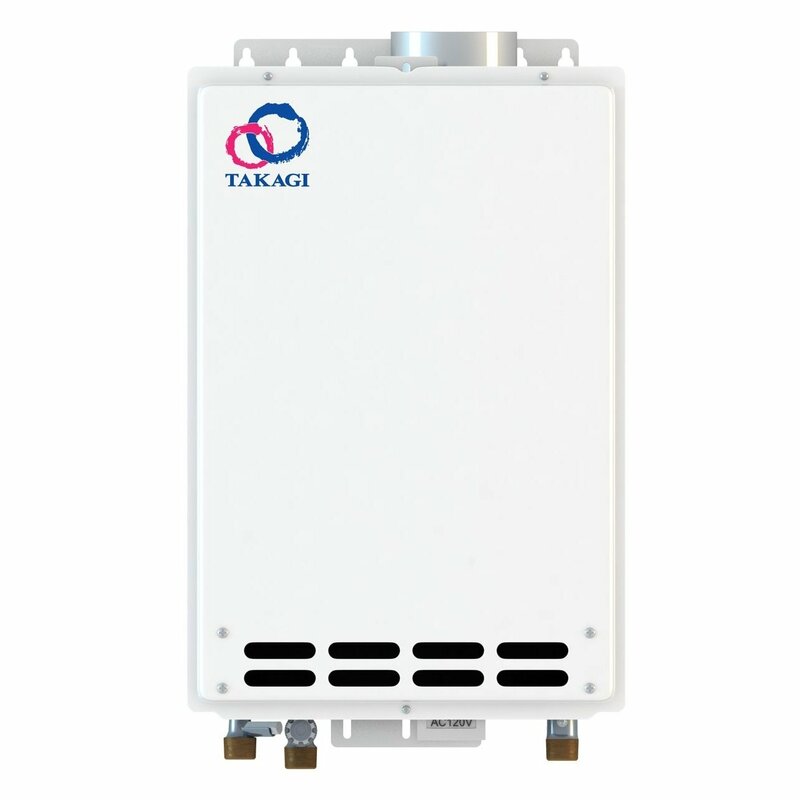 The Takagi T-KJr2-IN-NG is a gas water heater designed for small homes. Durability and compact design make this unit one of the best choices on the market. Measuring only 6.7 x 13.8 x 20.3 inches and weighing 38 pounds, this unit fits great into small bathrooms, attics or wherever else you’d like to install it. Speaking of which, installation is easy and straightforward. Since it produces maximum 6.6 GPM of hot water per minute, this unit can supply hot water for two showers at the same time (that is if you live in a warmer climate). This makes it suitable for single point applications rather than for working as a whole-house heater. The water heater features an air-fuel ratio (AFR) sensor and thermistors (inlet and outlet) so you won’t have to worry about variations in temperature. In fact, you’ll have a consistent temperature and reliable heating system. What’s more, you will be able to adjust the temperature of the hot water between 99F to 167F. There is also a handy remote controller for ease of use. The unit is durable and requires 4-Inch category III stainless steel. What we love about it is its safety. Namely, safety features – overheat, freeze, surge protection, and troubleshooting diagnostic codes ensure this unit works properly, stays safe, and last longer. It comes with a warranty – 10-year heat exchanger and 5-year parts. Note that warranties are only effective if the heater was installed by a licensed professional. The Eccotemp L10 is a portable tankless water heater, being perfect for outdoor activities, living off the grid, or just working in the backyard. The Eccotemp L10 allows you to bring the luxury of hot water outdoors and enjoy a day at the lake, camping with your friends, sailing, or simply spending time in your backyard. Whether you want to take a shower, wash your boat, car, or just need hot water for simple everyday pleasures such as making coffee, this little guy won’t let you down. 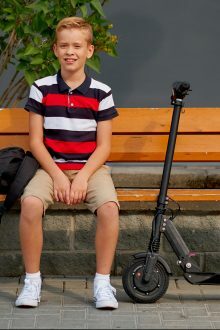 This model is designed for ease of use and convenience, with its lightweight and compact body. The Eccotemp L10 includes an electronic ignition that requires 2 “D” cell batteries so it can be used in places where there is no electricity. It’s compatible with pumps of 12 volts and requires a standard 20 lb. Liquid Propane tank. A 20-minute automatic safety shutoff timer is a nice bonus, while manual temperature controls help you achieve the exact temperature you want. The temperature range is anywhere between 50 and 140 degrees F.
This unit comes at a great price, so it’s a worthy investment. 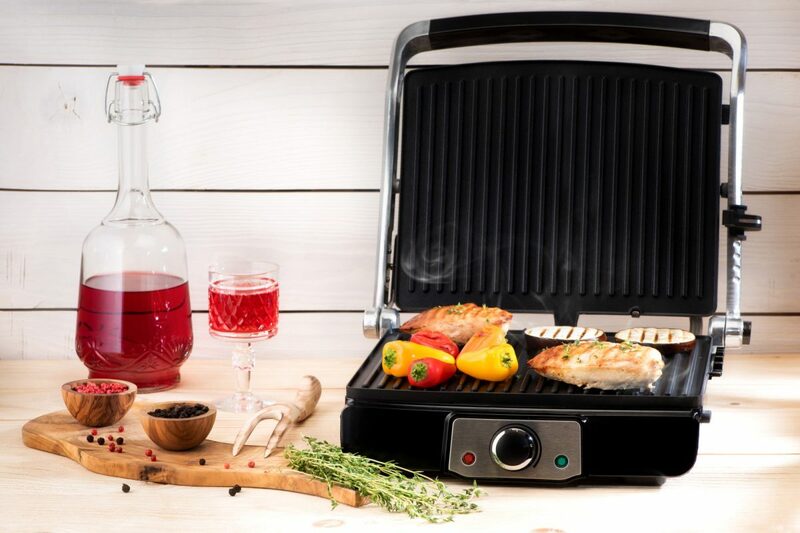 But, the pleasant surprise is that it also comes with the accessories – a CSA regulator, stainless steel rain cap, garden hose adapter, and a 3.5-foot hose. The drawback of this portable unit is that the water is hotter when the flow is lower. 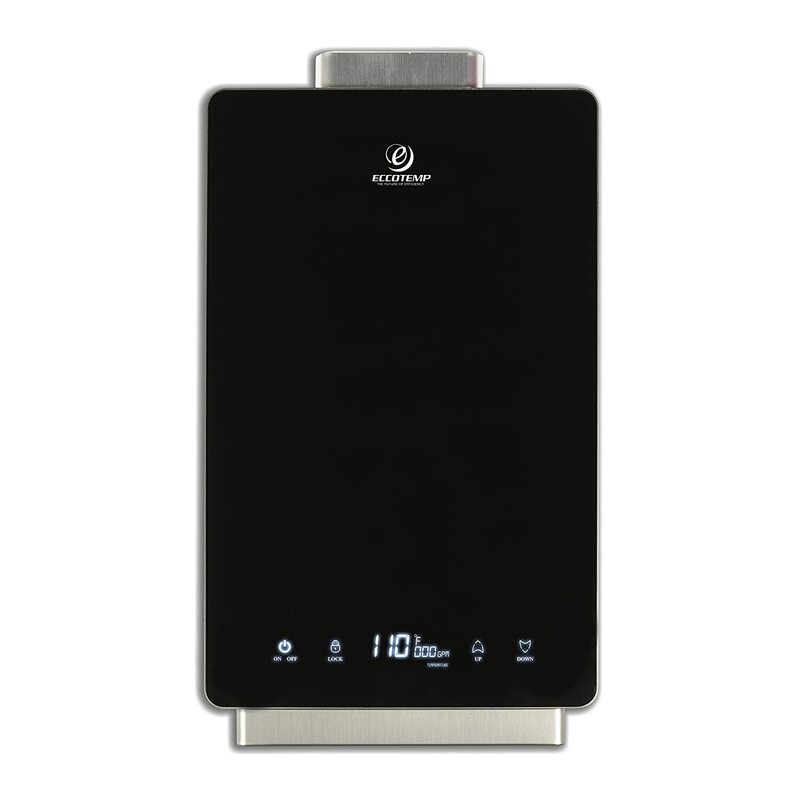 The i12-LP is one of the best tankless water heaters in 2019 on the market thanks to its amazing features and innovative design. The i12-LP looks futuristic, with its sleek design and black tempered glass front panel. However, it offers much more than just good looks – the user-friendly experience. With Child lock technology, an energy saving mode, and LED display controls, this unit is tailored to the needs of a small household. You can select the desired temperature, and lock it. In addition, the continuous flow rate of 3.0 GPM allows you to use a bathroom and wash dishes at the same time. That said, this unit is powerful enough to function as a whole-house tankless water heater for smaller families. But, if you have a large family, you might want to use two of these or simply look for another model. While the i12-LP comes from a trusted brand and is well designed, the warranty is only valid for 2 years (if the unit is installed by a licensed professional). Considering that tankless water heaters generally last more than a decade, the warranty is a tad short. 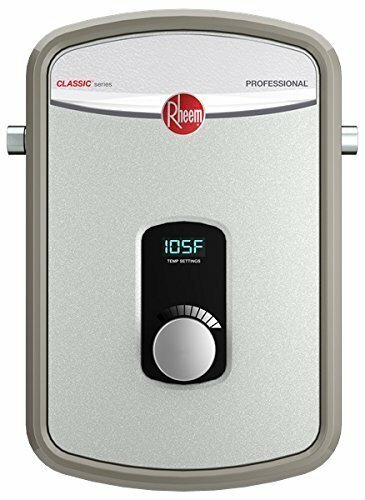 The Rheem RTEX-13 is a small water heater that includes the same features as larger models. The unit will ensure you don’t run out of hot water, and will also decrease your energy bill. Sounds good to us. The Rheem RTEX-13 may be small in size, but this is a pretty powerful unit on a pair with larger competitors. This model comes with a 5-year limited warranty. Here we have an electric tankless water heater, and that means that venting isn’t required. Because of that, you won’t have to change the infrastructure of your home so installation is significantly cheaper and simpler compared to gas tankless units. Thanks to its small size, the Rheem RTEX-13 requires little space. It can be installed under a sink, or in the corner of your attic. However, the compact design isn’t the only good thing we want to talk about. Modulating power is also worth mentioning. Modulating power will provide a continuous flow of hot water when you turn on the faucet but it will avoid standby heat loss by using only as much energy as needed. This makes it highly energy efficient. Moreover, digital temperature control lets you adjust the temperature. This unit works as a single, point-of-use application so it’s a great choice for a bathroom or small apartment. It doesn’t work great in cold climates, so this is something to think about if you do live in such a climate. The Tempra 24 Plus is the best instant hot water heater for multiple points of use applications in your home. It does what it should do – keeps you hot. 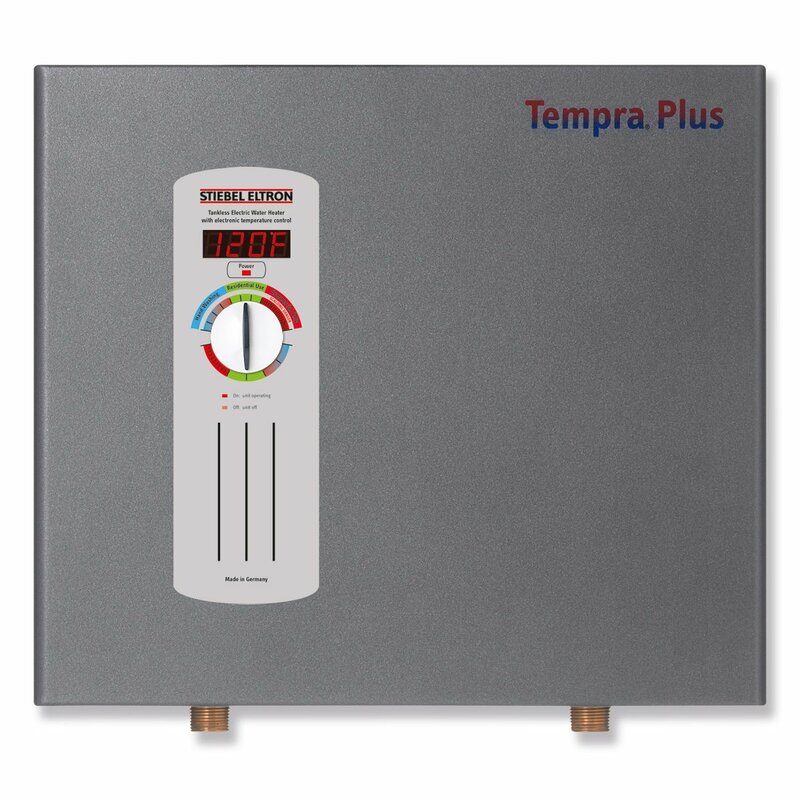 The Tempra 24 Plus is an electric tankless water heater that will provide instantaneous hot water on demand. It’s enough to supply hot water for 2 showers simultaneously so it can be used for a single, point-of-use application. But, homeowners would rather buy multiple units for multiple-points-of-use applications to ensure there is enough hot water for the whole house. The unit features a dial for Control Temperature. Simply set the knob and enjoy the desired temperatures (between 86°F and 125°F). 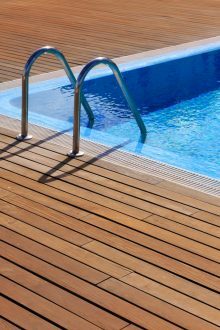 The Advanced microprocessor technology will keep the water temperature at the selected level all the time so you won’t have to worry about sudden temperature changes. Just like the previous model we talked about, this one also doesn’t require venting and can fit anywhere in your home. It will save significant space in your home, especially compared to traditional tank type water tanks. The unit comes with 7 years leakage warranty and 3 years parts warranty. The instructions are poorly written, so you will need the help of a professional to install the unit. The Sio Green IR30 POU is a cheap and portable tankless water heater. Using Quartz Infrared heating elements, the heater provides instant and uninterrupted hot water on demand. 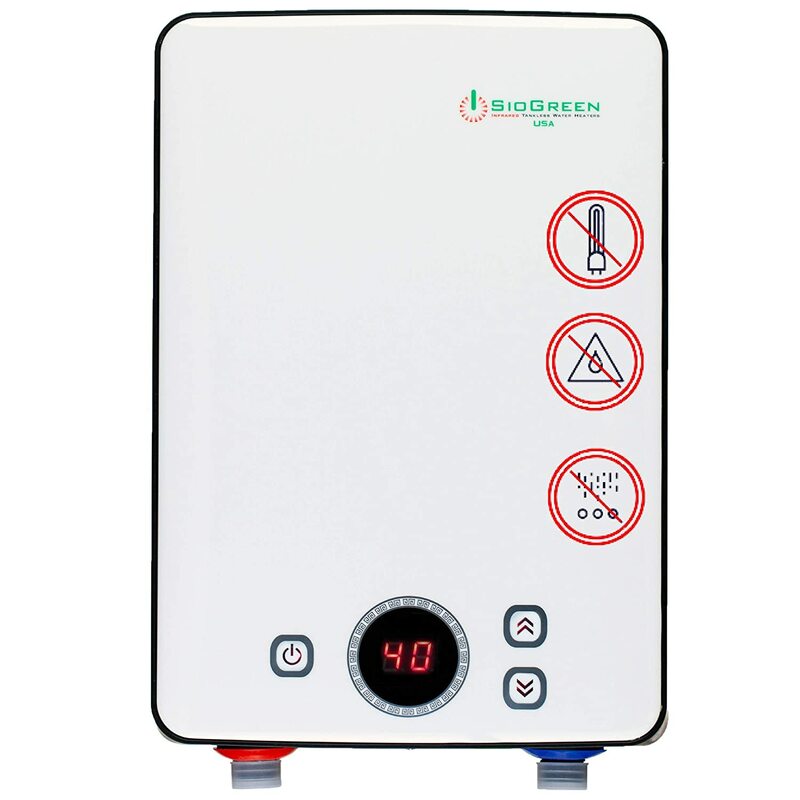 The Sio Green IR30 POU is infrared tankless water heater ideal for single point of use applications. The IR30 POU is a non-expensive unit that utilizes Quartz Infrared heating elements and provides instant and continuous hot water on demand. Infrared heating elements also help minimize algae, bacteria and break down hard water deposits. So, there is no need for replacing the parts. In addition, the unit is self-cleaning which means no maintenance required. The unit can be used in a home, but the flow is pretty slow in warmer months so we don’t think this one will work as should in the winter. However, for cottages, RV’s, Campers, and boats, this unit works like a charm. With thermostatic intelligent temperature controller and fully modulating power control, this unit is easy to control and will use energy wisely. A compact design is such a space saver! The CAMPLUX Pro BD158 has all the features you might need from a water heated to spend time outdoors. 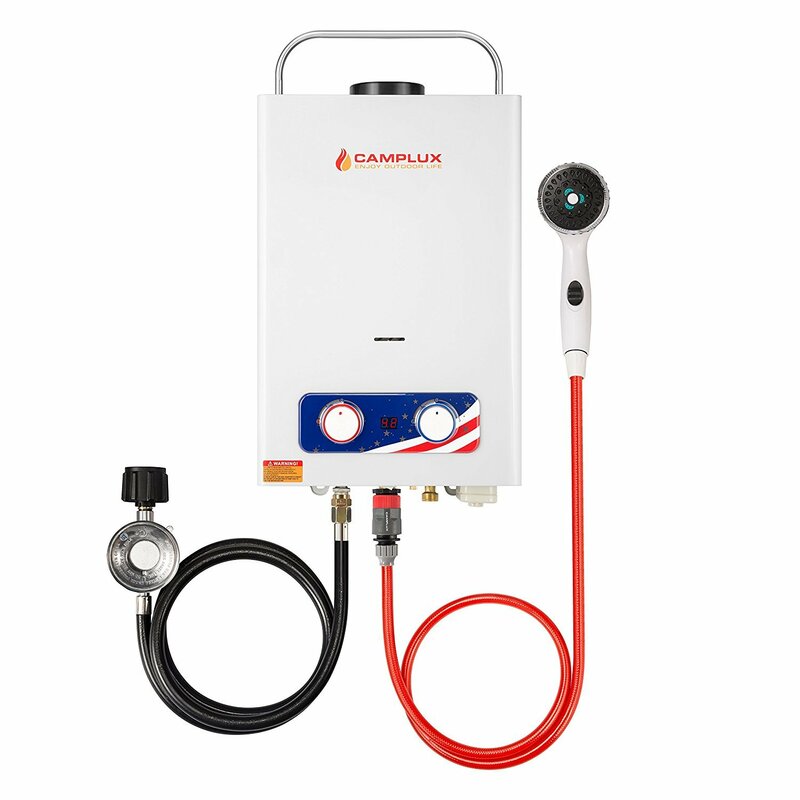 The CAMPLUX Pro BD158 is the best portable tankless water heater for good reason. Thanks to a low water pressure ignition the heater can work with 2.8 PSI of water pressure. The unit will ensure endless hot water so you can take outdoor showers, wash your car, your pet, or wash dishes in your camper. It uses liquid propane so it is energy efficient. The temperature range is from 46.4℉（8℃) and 114.8℉ (46℃) and the model includes anti-freezing protection, dry combustion protection, and oxygen depletion safety shut-off protection. 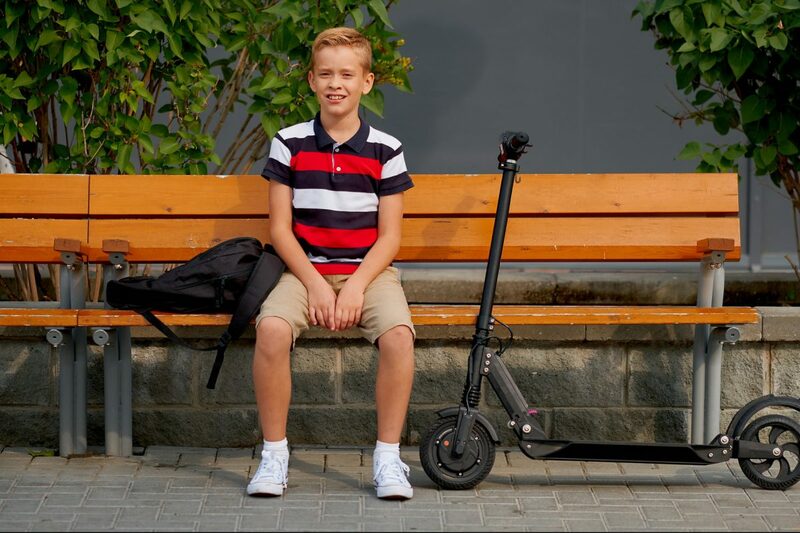 The Pro has a simple design, and a folding handle so you can carry it with ease and confidence. The downside is that it doesn’t work well in cold weather. Choosing a tankless water heater requires time and careful planning because of certain factors to have in mind. And we will cover them in seconds. Read on to learn the most important things about these energy efficient units. 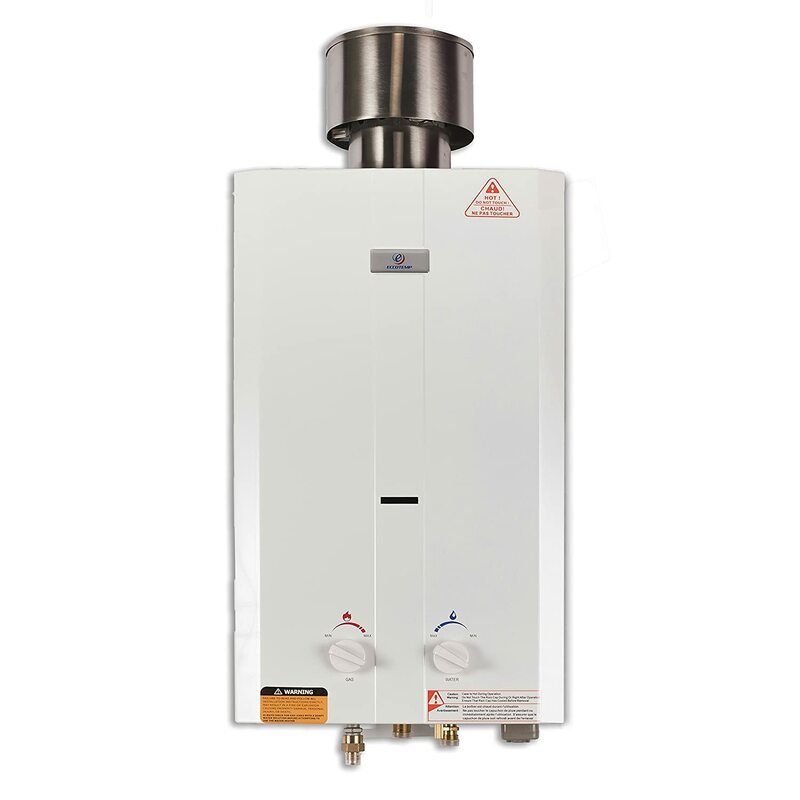 There are two types of tankless water heaters – gas and electric water heaters. Gas tankless units heat the water much faster than their electric counterparts. Fuel cost isn’t so high so they are cheaper than electric tankless heaters. But, they require a special type of ventilation system which usually means changing the infrastructure of home and paying more upfront. The good news is that some companies such as Rinnai and Bosch make outdoor tankless water heaters, so in this case, venting isn’t required. But, the bad news is that these cannot be used in the areas with the extremely cold weather. Electric tankless heaters are smaller than gas units so installation is less expensive and much easier. 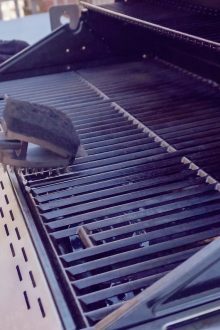 They don’t require venting which means less customization needs to be done. But, electrical units have lower capacity and aren’t so effective in extremely cold climates. Moreover, they can have high energy costs. We wish to tell you that you can choose any type of a tankless water heater, but this will actually depend on your home’s infrastructure and how much additional work should be done in order to install either system. So, choose the type that your home can handle without too much customization. 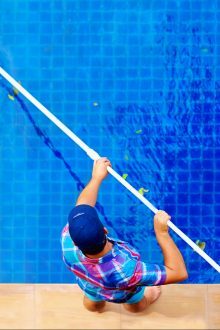 You should talk to a professional and he will help you determine this. Speaking of which, keep in mind that installation of a tankless water heater, whether a gas or an electric one, requires the expertise of a professional. So, unless you are a pro yourself, forget about trying to figure things out on your own – there’s too much to risk. Before buying the tankless water heater out there, it’s vital to determine how large or small unit should be as well as where you will have it installed. How many places will it occupy? Can you install it in a utility room or somewhere else – for example, attic? The next thing you want to think about is the capacity of a tankless water heater. 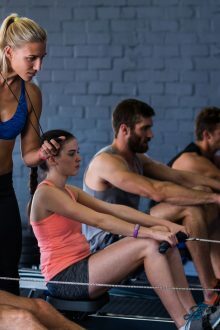 This depends on many factors such as how many people will benefit from this unit, the temperature of the water, hot or cold climate and do you plan to multitask (for example, to use hot water while your kid is having a shower). Forget about buying a small water heater because it will only be enough to heat water for one faucet. And as far as we know, most people have more than one faucet in their home. Now for serious, if you have a family, you might want to buy two smaller tankless heaters or one small electric heater and one large natural gas heater. Naturally, the top-rated tankless water heater comes from a trusted brand. We suggest you stick to well-known names rather than opt for “just sounds good” units. In addition, when buying a tankless water heater, be sure to check the warranty. Does it last for only 2 years, or for 10? The length of a warranty plays a big role. Our list is diverse, but we do have our favorite – the EcoSmart ECO 27. This model will easily provide hot water on demand for your entire house, leaving your family happy and warm. 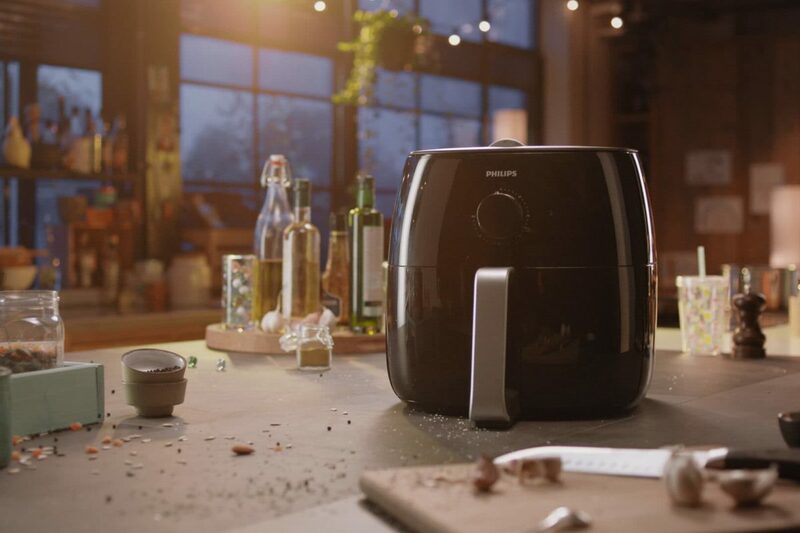 It has a compact design, digital controls for ease of use and it’s energy efficient thanks to a self-modulating technology. Well, time to say goodbye! We hope you enjoyed our tankless water heater reviews and buyer’s guide. Choose wisely and don’t rush, because remember that you’re looking for the best tankless unit for your home. We wish you a warm shopping!